The role of the “product promotion engine” in OFBiz, is to apply a store’s promotions to the products in the shopping cart. When more than one promotion is applicable to the same product, the main challenge for the engine is to maximize the overall cart discount by using the best promotion for each product or group of products. This post explains how the recent code refactoring contributed by HotWax Media (OFBiz revision 1554265 by Jacopo Cappellato), improves the capability of the engine to select and apply the best promotions. To begin, we briefly review the previous method of applying promotions in order to highlight the limitations that required an improvement of the engine. To this aim, a simple representative example will be presented. Then, the main characteristics of the new approach will be described and, finally, algorithmic details will be touched on in the Appendix. Note that both promotions are applicable to “Product A,” but each product is only allowed to benefit from one promotion. Previously the promotions would have been applied as follows. In summary, the application of the previous approach in the case of this example yields a total discount of $12, obtained by using “Promotion 1” for both “Product A” and “Product B.” However, “Promotion 1” is not the largest discount available for “Product A,” the higher discount of $16 could have been obtained by applying “Promotion 1” to “Product B” ( → $8 discount) and “Promotion 2” to “Product A” ( → $8 discount). ii) promotions are no longer automatically applied to the cart as a whole (see Step 3 of the previous section). – the weight relative to the application of the promotion to the discountable set is 0.25 ( = $10/$40). Among all the promotions applicable to the same set, the one with the highest weight is selected to be applied to the set. This means that the discount yielded by the chosen promotion is the one corresponding to the highest portion of the set price. 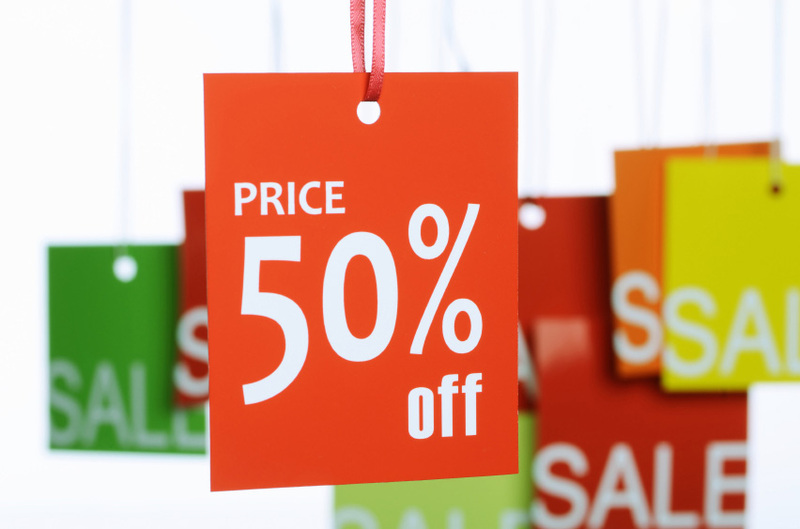 As demonstrated in the Appendix for the example in Section 2, applying the most beneficial promotion to each discountable set maximizes the cart discount. The new approach is implemented by smartly exploiting information generated during Step 1 of the previous approach (see the review in Section 2), also called the test run. We recall that Step 1 consisted of applying all of the available promotions to the cart to determinine the order of their application. Any time a promotion is applied to the cart, several ProductPromoUseInfo objects are created. For each promotion, the number of ProductPromoUseInfo objects is equal to the number of minimum discountable sets associated with the promotion. For instance, with reference to the example in Section 2, application of “Promotion 1” generates two ProductPromoUseInfo objects: one relative to the minimum discountable set containing one unit of “Product A” and one to the set containing one unit of “Product B.” Each ProductPromoUseInfo object contains information about the price of the discountable set and about the discount generated by the application of the promotion to the set. This information allows OFBiz to easily compute the weight introduced in the previous section (i.e., set price/set discount). As an example, suppose the algorithm is applied to the case presented in Section 2. Promotion 2 can be applied only to the single unit of “Product A.” Hence, the only minimum discountable set associated with “Promotion 2” is set to 1. 4) the total discount is $16.